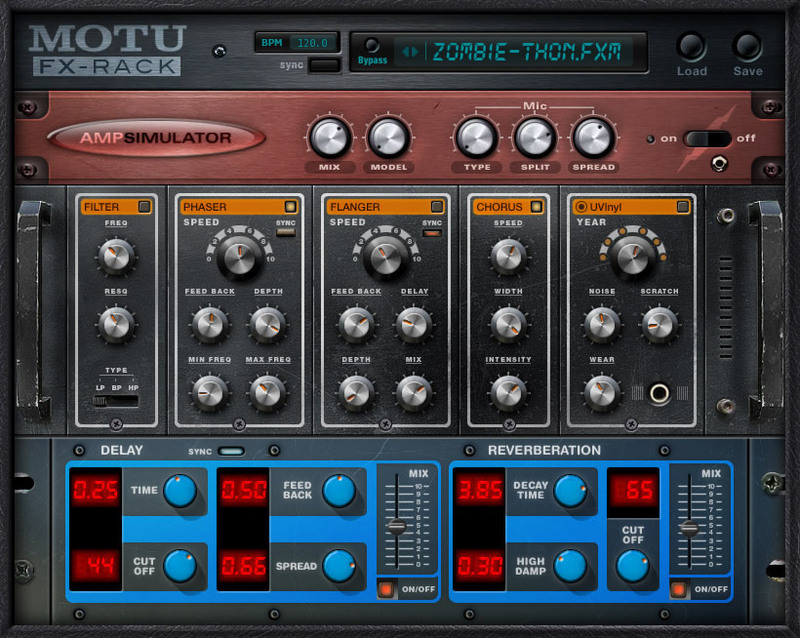 Electric Keys by MOTU is a Virtual Instrument Audio Plugin. It functions as a VST Plugin, an Audio Units Plugin, an RTAS Plugin and an AAX Plugin. Electric Keys delivers authentic sounds of 50 classic, vintage electric keyboard instruments from the last 40 years. This 40GB sound library includes over 20,000 meticulously crafted 24-bit 96 kHz multi-samples of legendary electric pianos, electric organs, clavinets, Wurlitzers, tape samplers, string machines, keyboard basses and other rare and exotic electric keyboard instruments. Fifty well-preserved and maintained vintage instruments were used to create the sounds in Electric Keys, including models from Fender, Yamaha, Korg, Roland, Hammond, Wurlitzer, Hohner, Elka, Farfisa, Mellotron, Moog, RMI, Arp and others. Most instrument samples are supplied at 24-bit 96 kHz resolution, but they can be played at any standard sample rate via Electric Keys' flexible 32-bit UVI playback engine. Presets consist of carefully crafted multi-samples with multiple velocities, layers and/or release samples, depending on the instrument. Samples are streamed from disk, so even large presets load quickly and conserve computer memory. Sounds are organized in 12 banks, each with its own authentic look ("skin"), allowing users to install on their hard drive only the banks they wish to use. Electric Keys presets can be loaded into MachFive 2 for advanced sound design and layering. The Electric Keys window offers a few simple controls, including volume, pan, tone and tremolo settings, along with two preset slots, which allow users to layer two sounds using the convenient multi-column preset browser. When a preset loads, the background displays the "skin" for the corresponding bank, but the controls and their operation remain the same, regardless of the unique look and feel for each bank. Once one or two sounds are loaded, the user can simply play, adjusting parameters as desired, while CPU-efficient 256-note polyphony ensures that notes are never cut off due to voice-stealing. All parameters can be automated via convenient "MIDI learn", where the user can simply right-click any control to assign any MIDI controller. Users can load and save "combis" consisting of a snapshot of the entire plug-in, including effects. Combis can be shared among plug-in formats and the stand-alone version — even across computer platforms. Dozens of factory presets and combis are supplied. The three-dimensional piano keys across the bottom of the Electric Keys window highlight during playback. Users can click the keys to audition sounds. Users can click the FX button to open the FX-Rack, which is a separate window with eight effects that can be applied individually or in combination as a multi-effect to any preset. Effects include amp simulation, filter, chorus, flanger, phaser, UVinyl (to add "wear and tear"), delay and reverb. Since effects can be loaded, created and saved independently of instrument presets, it is easy to mix and match effects with presets, allowing users to experiment with practically infinite combinations. All effects parameters can be automated with one-click "MIDI Learn" CC assignments.